One of the things we have always wanted was outside space we could call our own. When we lived in Houston we didn’t have a window that opened. When we move to Beverly, we had a sweet condo but no outside space. 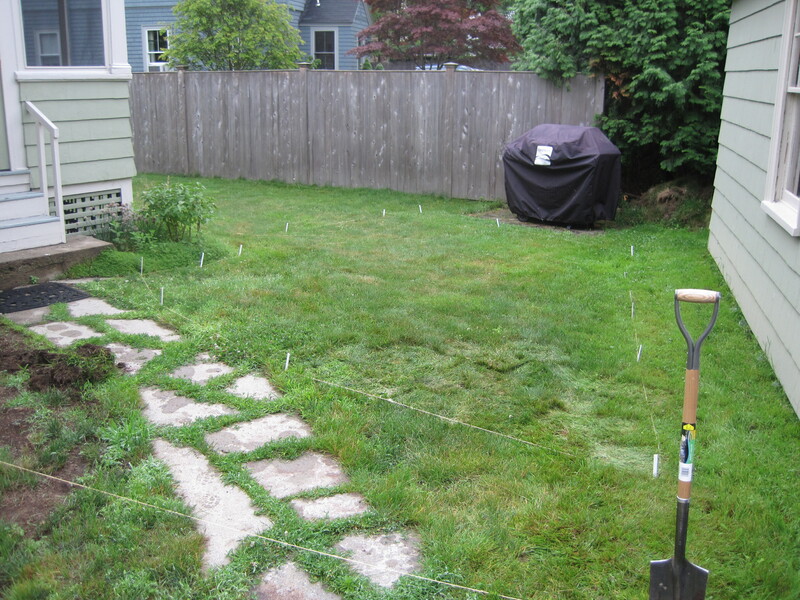 When we bought our house in Wenham, we were thrilled to have a little yard to enjoy. With a party for Cole approaching and a father’s day weekend ahead, it was prime time to install a “little” patio. 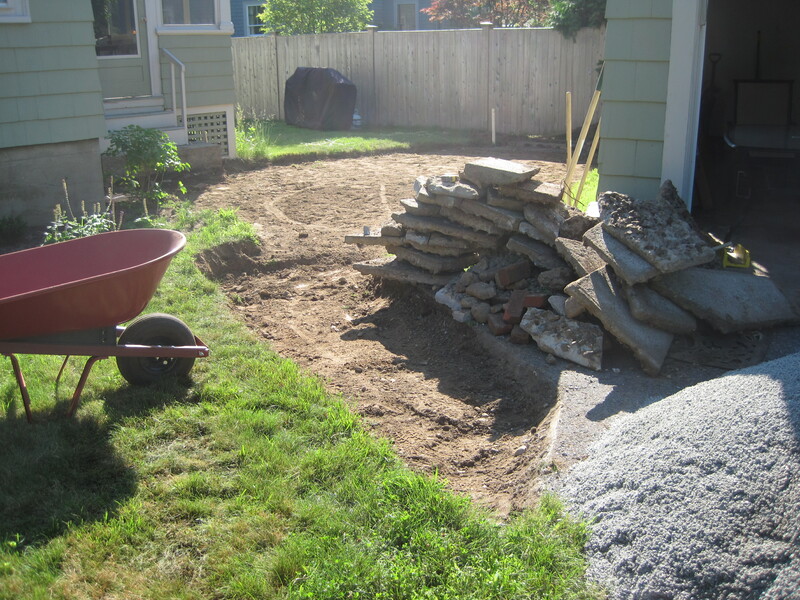 First step was to map out the patio and pull up the unsightly concrete walkway. 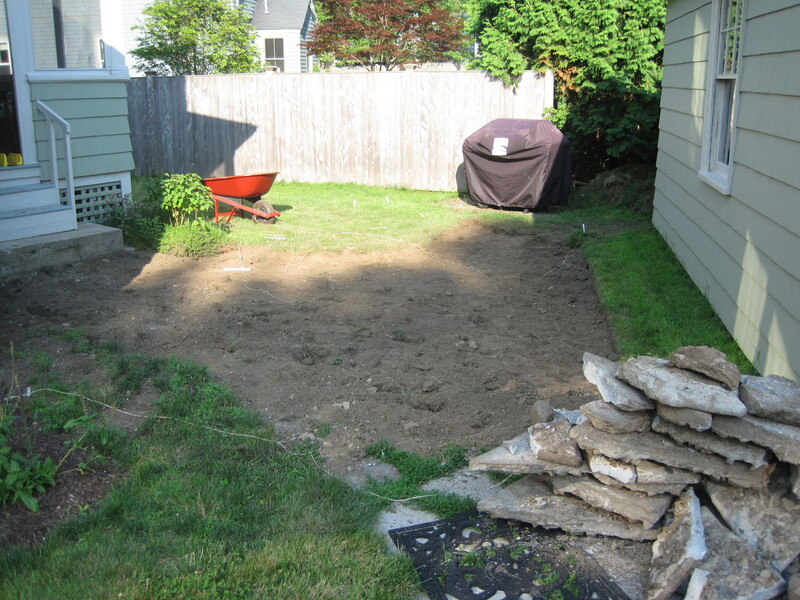 With the old walkway gone, next up was removing the grass. 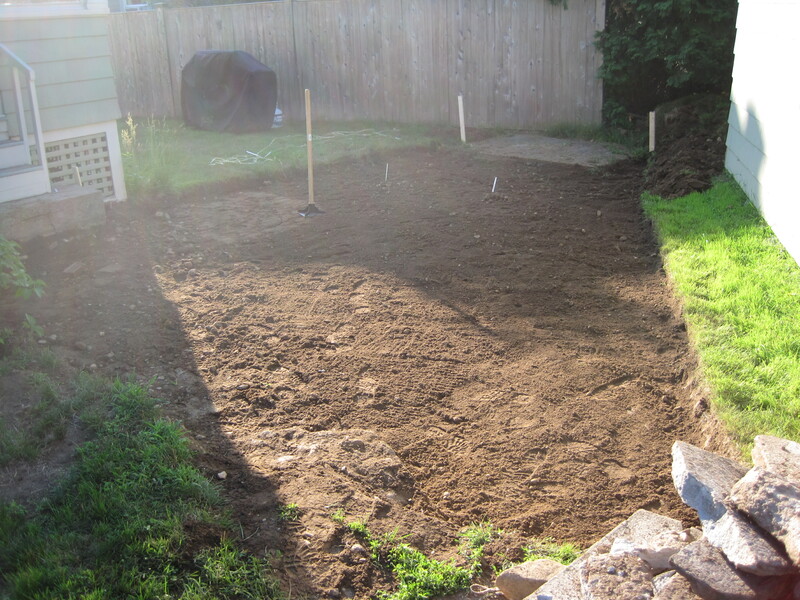 After a late night of yard demo and leveling, it was time to tamp the patio area in preparation for the gravel. Patio space ready along with walkway to drive way. 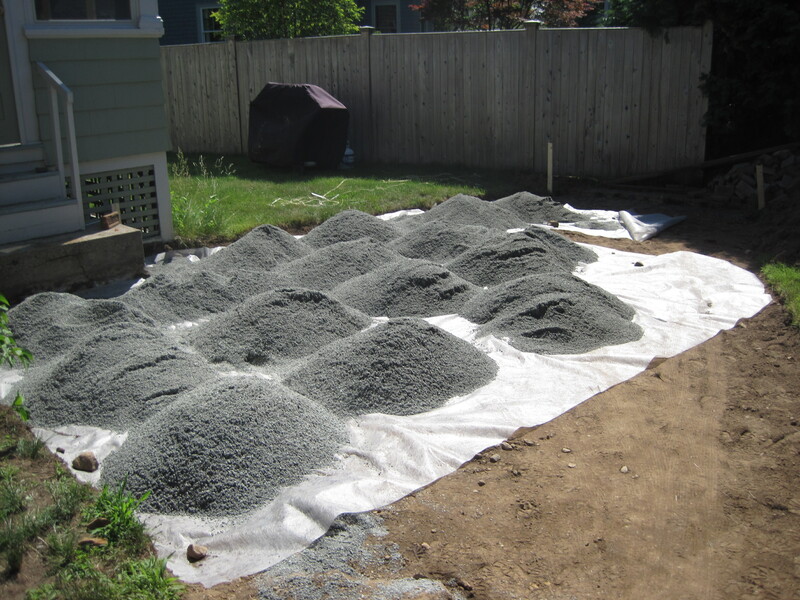 Hard pack gravel went down next on top of landscape fabric. It took about 3.5 yards to cover the whole area. 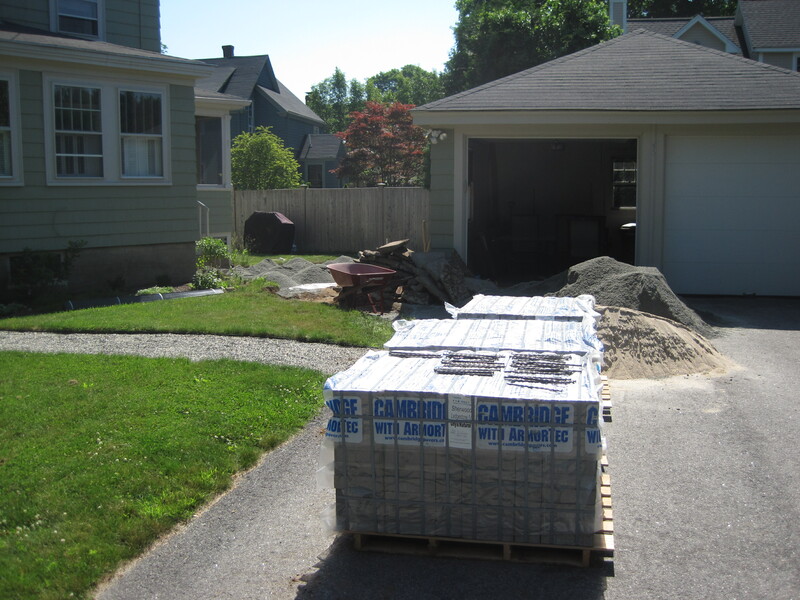 Thankfully I was able to find someone who would order pavers last minute and deliver them right to our driveway. Big thanks to Landscape Express in Woburn for working with me on this one. Finally finished in 1 long weekend with Liza doing an incredible job of entertaining a very active Cole for 4 days straight. 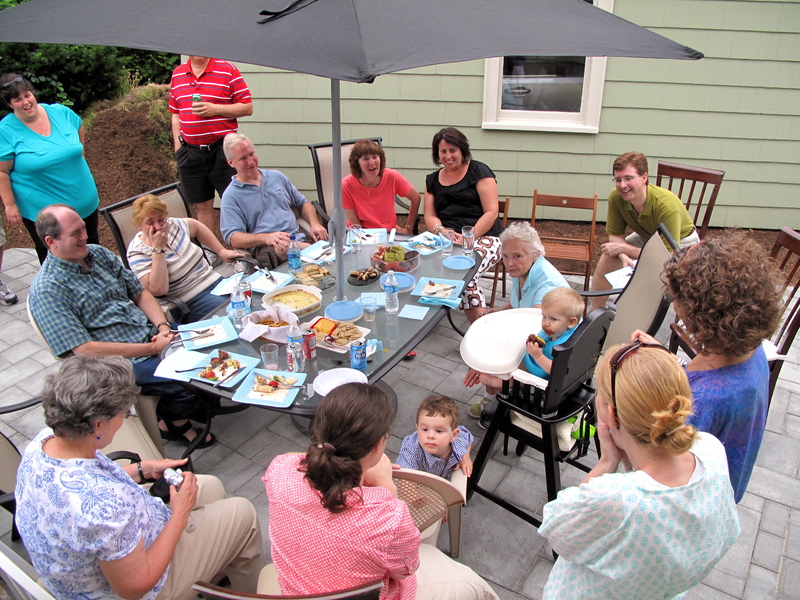 It turned out to be around 325 square feet and has been a welcome addition to our home. We have enjoyed quite a few meals out here already and are grateful to have some outdoor space to call our own.